Does your clinic have a Facebook page? It’s a great way to spread news about your practice, stay in touch with current and former clients and share general tips for having a healthy pregnancy. Blog posts are a great way to share more in-depth information about pregnancy, labour, birth and the midwifery model of care. An example of a practice that is using blog posts effectively to highlight midwifery expertise and build a community presence is Generations Midwifery Care.Not sure how to get started? Follow the AOM on Facebook, Twitter and Instagram for items to share or ideas for writing your own posts. Before you jump in, learn how to protect client confidentiality by reading the AOM’s guidelines for using social media. It doesn’t have to be fancy or expensive, but it’s important to have one, as many prospective clients will go online first when they’re looking for information. You can create the website yourself by using a tool like Squarespace or hire someone to do it for you. Looking at the websites other midwifery practices have created will give you a clear idea of what you’d like yours to look like. An example of a beautiful, useable midwifery website is K'Tigaaning Midwives. Is there a physician’s office, community health centre, public health unit or other health-care office near your clinic? Drop in, introduce yourself to the administrative staff and health-care providers and ask if you can leave some postcards or flyers. Busy health-care providers won’t have much time to chat so you’ll want to keep your conversation brief and strategic. Before your visit, identify the three things you’d like your interprofessional colleagues to know about your clinic and the care you provide. Share this information during your chat and end the conversation by inviting them to visit the clinic. The opening of your clinic is something to celebrate! Plan an event to celebrate and invite local politicians, hospital colleagues, other health-care providers in your neighbourhood and catchment area, and members of the public and media to attend. Hold an event that suits your practice. The agenda could include: welcoming remarks, greetings from a local politician, a ribbon or cake cutting and a tour of the clinic. 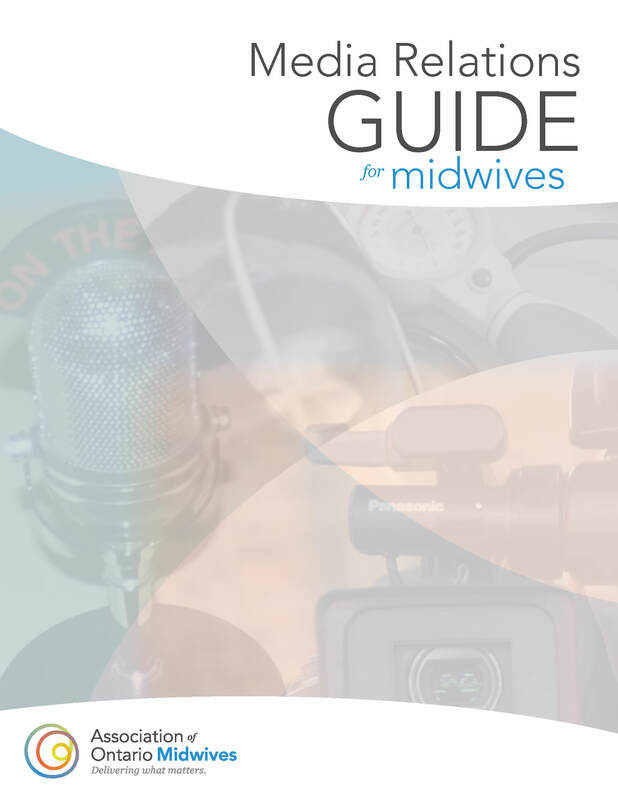 The AOM’s Media Relations Guide for Midwives includes detailed advice about inviting the media to attend events and providing information that will help generate media coverage. An open house gives potential clients an opportunity to meet the midwives, tour the clinic and learn about the midwifery model of care. Have the contents of a birth bag on display to facilitate conversations about the safety of home birth. Invite recent clients to attend with their babies so they can share their experiences of being in midwifery care. Does your community have an annual festival that everyone attends? That would be an ideal place to meet local families. Contact the event organizers a few months before the event to ask about the cost of setting up an information table. If the price is reasonable, rent the table and ask midwives who are not on call that day to sign up for shifts to staff it. Bring your flyers, AOM brochures and other educational materials. Be ready to answer lots of questions about midwifery. Journalists are always looking for story ideas. You don’t have to wait for them to come to you; you can call them directly to suggest a midwifery-related story that will be of interest to your community. The AOM’s media relations guide includes practical tips for identifying a compelling story idea, contacting journalists and crafting key messages. Members of the AOM’s communications department are always happy to help you develop story ideas and prepare for interviews. If you’ve tried all the methods listed above and still have openings for clients, you may want to consider paying for advertising. If your budget allows, you can buy newspaper or radio ads or even advertise on a billboard. The AOM provides promotional materials to all practices. Our two brochures, Ontario Midwives and Choice of Birthplace are available in French and English. We also have posters (in English only) that welcome 2SLGBTQ+ families to care and highlight the facts that midwives are primary care providers and integrated members of the health-care system. Order resources through our online store. This is an inexpensive way to get the word out. Include the name of your practice, your website, street address, email address and phone number and a brief description of the care midwives provide (many people still don’t know.) Post them in libraries, community centres, daycare centres and cafes (with permission, of course) and bring them to community events. The AOM follows midwifery practices who are on social media so we can share your news with our followers. You can also contact our social media coordinator directly to let her know that you’ve published a new blog post, are accepting clients or would like help promoting an event. You and your colleagues will have a good sense of the type of promotional activities that will be most effective in your community. Please remember that the AOM is always available to provide support and advice.